Ht: 6’3″ Wt: 211 Year: Jr. The day the entire University of Maryland baseball faithful has been dreading: the all-time wins leader in University of Maryland baseball history, and the revered ‘Unicorn’ is now draft-eligible. 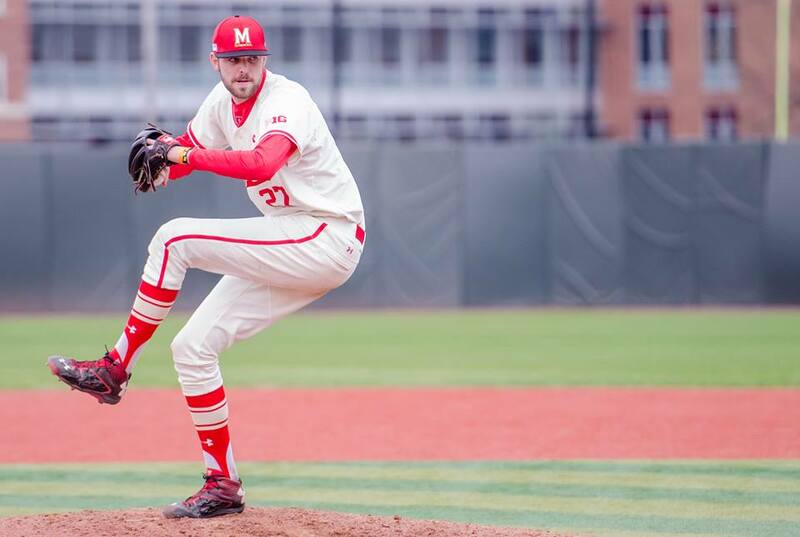 He has won numerous awards, his name is cemented in the Maryland record books, and anyone who knows of Mike Shawaryn knows what this kid has meant to the Maryland baseball program. Shawaryn has a prototypical starting pitcher’s build: tall, strong lower half, and durable with room to add a bit more to his already strong frame. His arm-angle is a bit unorthodox, he features a sub-¾ arm angle, which has dropped even a bit below that in recent years. His combination of a plus fastball with arm-side run and his sweeping slider make for a very elite two-pitch mix. Throwing in a solid-average change-up makes for a potential middle of the rotation type in the big leagues. Present: Shawaryn is considered by many to be the best pitcher in school history. 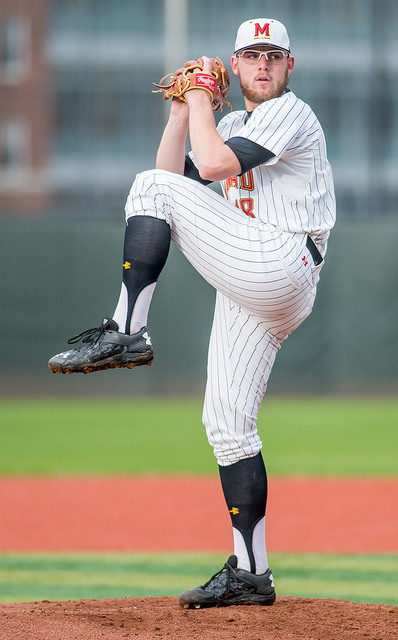 He finished his Terps career with 307 strikeouts setting school bests in a season (2015) and a career. When Shawaryn can command his fastball in and get hitters to chase the slider down and away he is nearly unhittable. While duplicating a 1.71 ERA from 2015 was nearly impossible, when Shawaryn ran into trouble this season it was when he was unable to establish the inside fastball, and instead left it up and over the plate. 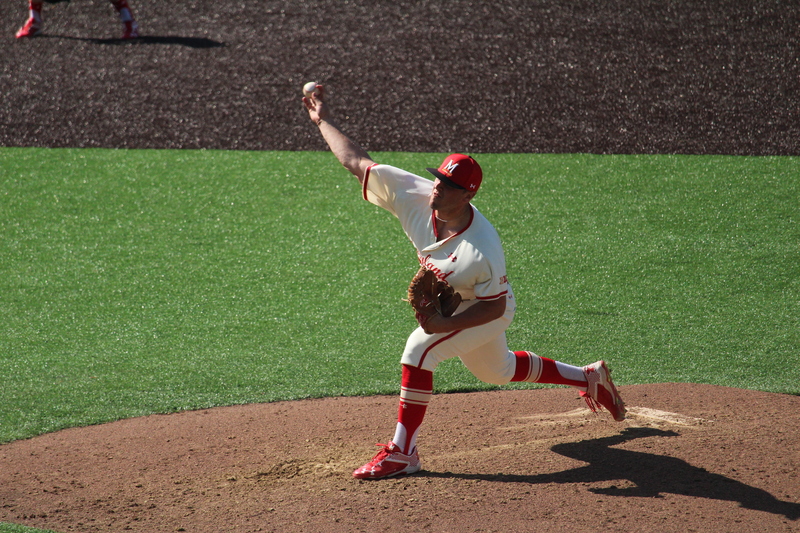 While those starts in the middle of the season may have resulted in his draft stock slipping, his 16 strikeout performance in the Big Ten Tournament should put any concern about Shawaryn’s dominance to rest. Shawaryn projects to being an ace of a rotation as a guy who can get a lot of punchouts as well as work deep into ballgames. Lewis: It is where that fastball velocity maintains itself into starts that will be key for Shawaryn moving forward. He has logged an immense amount of innings over the past three years, including a tour with the United States National team last summer featuring some of the most elite draft-eligible talent, including: consensus first-rounders AJ Puk and Buddy Reed. Over the summer, Shawaryn’s FB topped at 95mph, however in his 2016 campaign, Shawaryn was more in the 91-93 range. While his fastball in 2016 was a bit short, on the surface his results appear congruently less dominant than they had been in his prior two years. If you really dig into the stats, however, some would argue his stats were just as good as they have been. While his W-L record and ERA were not up to his usual level of excellence, his peripheral stats scream elite. He had a 0.96 WHIP over 99 innings, averaging 8.8 K/9, a 3.73 K/BB ratio, and a paltry .195 opponents batting average. Going into 2016, Shawaryn was thought of a mid-late first rounder with steam to possibly tick into a top 10 slot, but after a rocky start to the year, he has dropped out of many pundits’ top 100 overall draft prospects, with college RHPs Justin Dunn (Boston College) and Cody Sedlock (Illinois) rising into the range where Shawaryn had been at the onset of the year. A team that values sabermetrics and isn’t overly concerned about Shawaryn’s 3-year workload or his unorthodox arm-angle could draft Shawaryn pretty early on in day two. * Matt Present did play-by-play for the Maryland Terrapins in 2015 and 2016. * Jon Lewis is a former college baseball player and provided color analysis on MBN broadcasts in 2015. He is pursuing a career in professional scouting. To view all the Terps’ Draft Previews, click here. 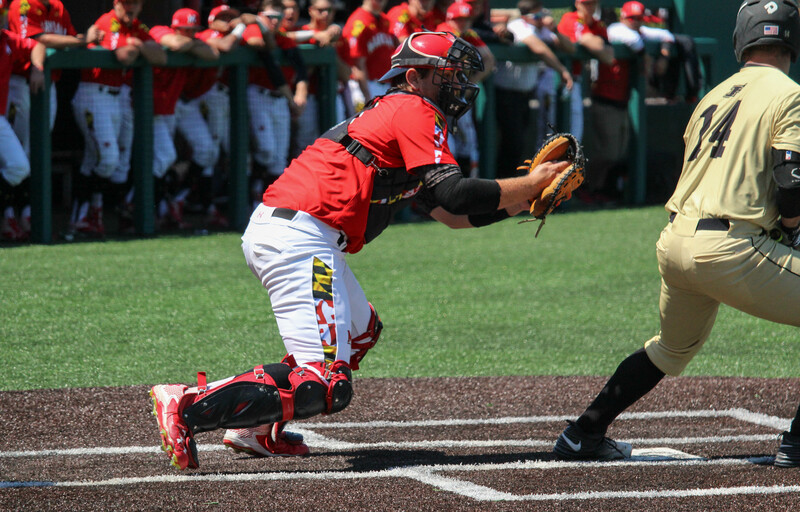 Nick Cieri came to College Park as a highly touted athlete with very solid hitting tools. Cieri, was taken as a 32nd rounder by the San Francisco Giants out of Rancocas Valley HS in South Jersey. Cieri, who played infield for the majority of his high school career, transitioned to catcher as a senior in high school and was drafted by the Giants as such. In 2014, Cieri split time behind the dish and as the team’s DH and put up decent numbers. 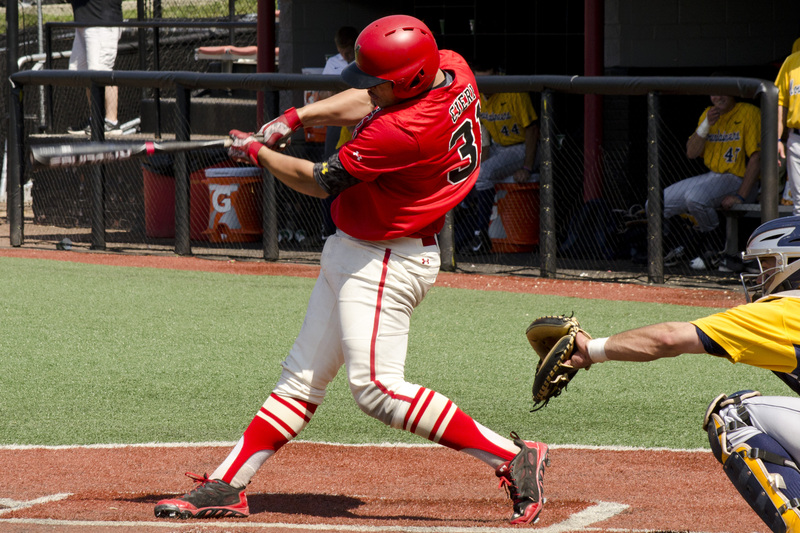 In 2015, Cieri broke his hamate bone and missed a good chunk of the year, but was able to make 37 starts, 31 as the team’s DH and 6 behind the dish as Kevin Martir (2015 18th Round, HOU) was in the midst of an All-American year behind the plate. Cieri flashed some of that raw hit ability, hitting a solid .299 albeit with only 5 extra base hits. It was the summer of 2015 that was absolutely vital for Cieri. Invited to play in the prestigious Cape Cod League, Cieri had a breakout campaign facing some of the nation’s best pitchers with a wood bat in his hand amassing a .319 batting average. Another key for Cieri was his ability to stick behind the dish last summer to hone his catch-and-throw skills while catching some of the nation’s elite pitchers. Cieri performed well enough to be named the starting catcher for the West team in the Cape Cod League All-Star Game. However, his lack of extra-base pop again would be a theme, as he only amassed one extra base hit in his 91 regular-season at bats. A very solid offensive Cape season at a premier defensive position created some draft helium for Cieri, where he was ranked in Perfect Game USA’s and Baseball America’s top 500 prospects coming into the year. The 2016 season was a bit of a struggle for Cieri with the stick, as he hit to a tune of a .249/.362/.375 line. However, Cieri was able to amass 13 extra base hits, including three home runs, and walked more than he struck out. Present: While Ceiri did not have a great 2016 campaign, he did end the year on a high note, going 7-12, with a double, home run, and three walks in the Big Ten Tournament. The walk numbers are really something that stands out, for Cieri. He led the team with 31 free passes, and was really good at pitch identification, and strike zone discipline all season long, even when the hits weren’t falling. That’s a valuable asset that shouldn’t go unnoticed. I have a feeling teams will put more stock in his potential than in his 2016 numbers, and judging by his size and how hard he swings, the power numbers will come. However, Cieri threw out just two runners in 24 chances this season, so the defensive concerns that surround him might make him a later round selection. Lewis: Cieri is a big bodied guy with below average speed and concerns as to whether he will be able to stick behind the dish for the long term, and lack of an in-game track record in regards to his raw power. His draft stock is contingent on a multitude of things: Can he stick behind the dish? Will evaluators be able to put a tough spring 2016 in the rear-view mirror, and remember the Cieri who hit .319 in the Cape? Do scouts believe he can tap into his raw power? If scouts believe he can stick behind the plate, his hit tool stands out, and Cieri could hear his name called in the middle rounds. If scouts are less convinced he can catch and is forced to move over to first-base, Cieri’s lack of in-game pop will prove to hinder his draft stock. Mike Rescigno was a power-hitting 3B and closer for one of New Jersey’s Shore Conference perennial powers: Red Bank Catholic. Originally arriving to College Park as a two-way guy, Rescigno saw most of his time in 2014 as a 1B/ DH against left-handed pitchers. 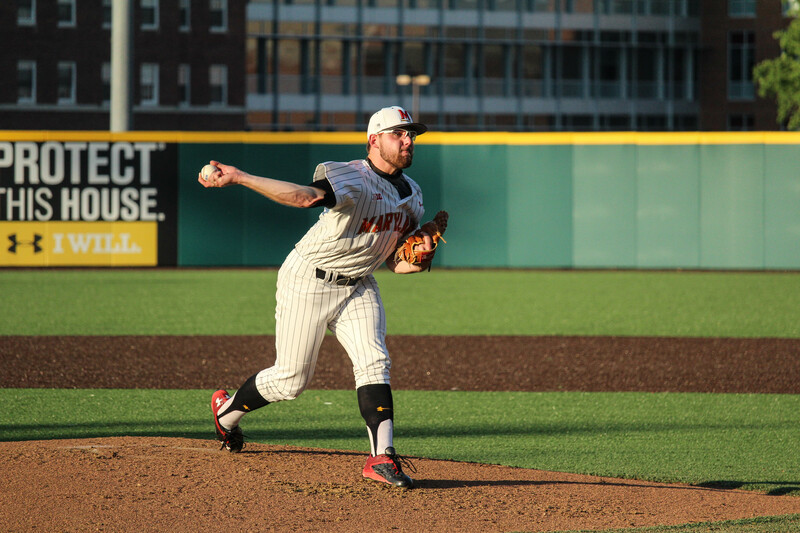 While, he had a respectable freshman campaign with the stick (.241 BA), the coaching staff became fully committed to making Rescigno a full-time reliever post-2014. Rescigno was a bit buried in his first season as a full-time relief pitcher with the immense depth the 2015 pitching staff had (see: Ryan Selmer), but after seeing his relief outing against Towson University at Ripken Stadium late in the 2015 season, it was clear to see this kid had a future on the hill. He topped at 93 mph that day, with a very tight over-the-top curveball. That two-pitch mix screamed a formidable high-leverage option as 2016 approached. In the summer of 2015, Rescigno pitched for the Bethesda Big Train program in the Cal Ripken Collegiate Baseball League (CRCBL), and his stats were every bit dominant. He pitched to a 1.68 ERA, with a 0.875 WHIP, allowing a paltry 0.25 H/9, and dominant 9.56 K/9. 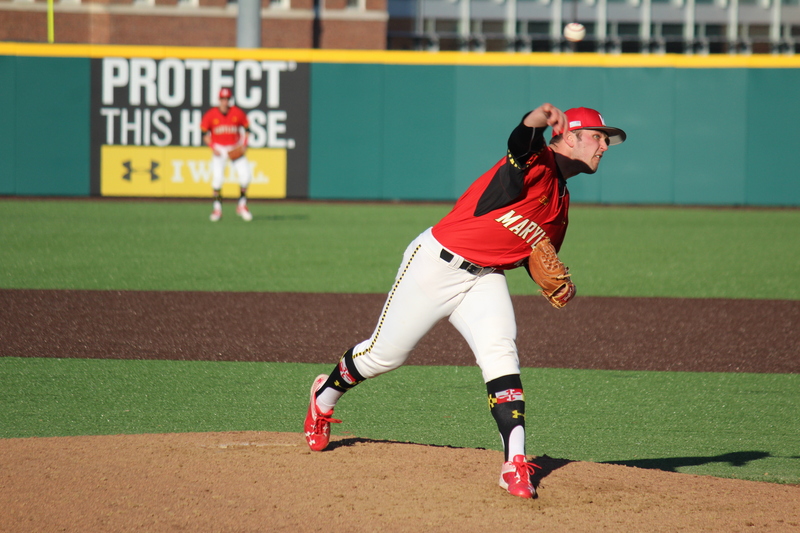 With a summer this strong, Rescigno was primed to take on a larger role in the Maryland bullpen. Present: Rescigno is the type of pitcher scouts get their radar gun out for. While he isn’t a big guy, he is able to get a lot of zip on his fastball, and his big breaking curveball makes him a guy who can get a lot of strikeouts out of the bullpen. While Rescigno can be dominant at times when he mixes his pitches well, the lack of movement on his fastball puts a premium on location. If he leaves the ball out over the plate he’s going to get hit hard, and his walk numbers are a little higher than he’d like. Bottom line, the life on his fastball is enough for a team to take a chance on him in the mid-late rounds. Lewis: Rescigno’s 2016 numbers were not pretty and do not reflect the type of talent Rescigno truly has. His 10.7 K/9, however, is a statistic scouts love to see from a late-inning relief type, and validate the type of stuff Rescigno possesses. Rescigno is a well-built 6’1’’ RHP with a very repeatable delivery; he flashes over-the-top arm action with a fastball that peaks at 94 MPH and customarily sits between 92-93 mph, with a power curveball that flashes 12-6 type of action. A team that likes what they saw from Rescigno last summer, and doesn’t take much stock into his 2016 numbers may draft Rescigno in the mid rounds of this year’s draft. Probably, the most desirable trait about Rescigno is his fresh arm (he hasn’t logged many innings the past few years) and he is relatively new to pitching full-time. The aforementioned coupled with his clean delivery and 94 MPH fastball make for a pretty intriguing prospect. Ryan Selmer joined the team as a very late addition to the 2014 roster, beginning his time in College Park during the second semester of his freshman year. He took that as a redshirt season, and has been a fixture in the bullpen in 2015 and 2016. In 2015, Selmer combined with Kevin Mooney (15th Round, WSH 2015), Alex Robinson (5th Round, MIN 2015), Zach Morris (26th Round, PHI 2015), and Robert Galligan to form one of the most formidable bullpens in college baseball. 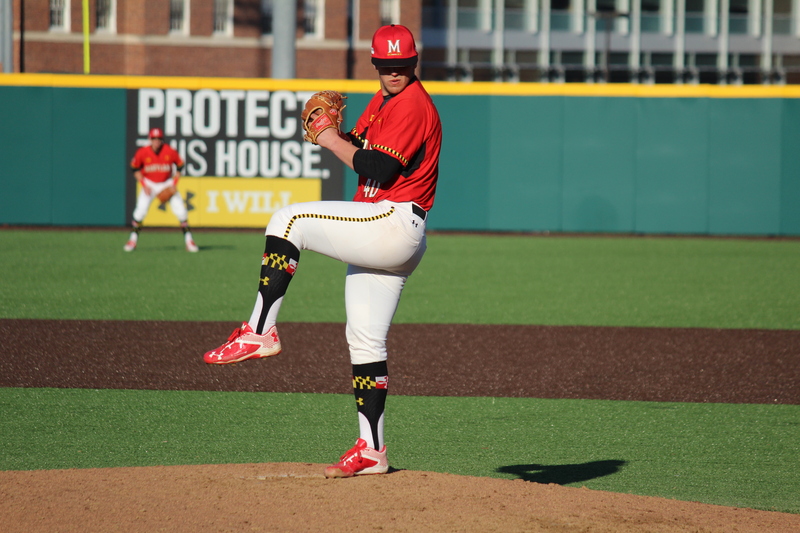 This bullpen was one of the key ingredients to the super-regional run the Terps were able to make last season; including notable wins against UCLA. Selmer’s 2015 stats were very formidable 3-1 with a 2.18 ERA. However, his 3.1 K/9 doesn’t scream dominant, especially for a man of Selmer’s stature. In 2016, Selmer’s ERA ballooned a bit to 4.50, but his peripheral stats were solid: a 1.29 WHIP, and a much better 5.59 K/9. Ryan Selmer pitching in 2015. Present: Selmer’s ability to get ground balls makes him a very appealing bullpen arm, and he has demonstrated his versatility, as a guy who has the stamina to pitch multiple innings. The ground balls are a product of his low arm angle, which makes the ball dip down and in on a right handed batter. While he doesn’t throw as hard as his height suggests, a low 90s fastball with movement is better than a straight fastball at 96. Selmer isn’t a guy who has scouts flocking to the stadium, but I think his size is an intangible that will convince a team to take a flyer on him in the later rounds, and hope that they can help him develop more strikeout stuff, or turn him into the more prototypical hard throwing right hander. Lewis: Selmer is every bit of the listed 6’8’’ frame, and has plenty of room to fill out his currently lanky frame, which certainly should have scouts salivating. Selmer’s mechanics are a bit unorthodox, he does not really utilize his lower body in his delivery, and still manages to throw 88-91 from a cross-fire delivery with solid command living at the knees for the most part. He screams a mechanical overhaul and work in progress, but his frame, ability to command the zone, and present velocity should inspire professional teams to give this kid a look.